Account was opened for 3+ years with no late payments until my first 30 day late due to me having a baby and wasn’t aware the payment was not sent. I called customer service asking them why my account was closed after ONE missed payment. The representative did not give me a real answer but said that if I can make the past due balance they will reopen my account since it hasn’t been closed for more than 30 days. THAT WAS A LIE! The representative con me into making a payment thinking that I would be able to reopen my account but instead they ended up saying there is nothing they could do as it was the bank who closed it. Customer service is horrible. At least congratulate me on having a new baby instead of focusing on getting money. That's why i always pay my cards due date before the due date you can also sign up for auto pay for credit cards. Chase has the worst customer service I have ever experienced. They canceled my personal and business credit cards for no obvious reason and they would never give me an explanation. I can only assume they didn't like the fact that I was purchasing cryptocurrency. I tried to resolve the matter through telephone calls and written correspondence but nobody would even talk to me about it. As a result, I refuse to ever do business with Chase Bank EVER AGAIN! Think it would never happen to you? Well, I have a great income, a very high credit score and have no late payments in the past 20 years or so. Pay attention to all the negative reviews and save yourself the aggravation. You know who didn't cancel my credit cards and I still have a great relationship with? American Express, Bank of America, Capital One and Wells Fargo. These are all much better banks to deal with. worst experience ever! Stay way! They closed my account for not receiving payment which I did pay. It dropped my credit score for from 735 to 623! I called the customer service explaining to them that I was not aware of it cause I always paid on time. They said there is nothing they can do. I can’t even apply for credit cards cause they messed me up. If you paid by mail that's why if you goto your online account and pay there 4 days before due date you got no problems if you still got problems you can call 1-800-notfair and they might can help the credit score you can get fixed call the credit bureaus if all else fails call the cfb and report the problem. 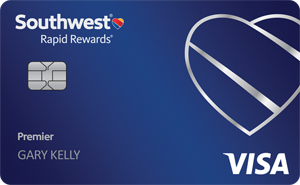 Hi just remembered show something on youtube about that card if you have a chase card its going to be hard to get approved check out the youtube videos for the southwest rapid rewards premier card it might save you from hurting your credit score by 5 points cause 5 points is what it is for a hard pull. Note: Sample data consists of Credit Karma members who hold this card. The following information and reviews are brought to you by Credit Karma and/or its users. Banks, issuers, and credit card companies do not endorse or guarantee, and are not responsible for this content.